How refreshing it is to come across a decent car park in Hong Kong. So many - virtually all - of them have just enough space for a good driver to park his (OK, or her) car, leaving little room for error in actually getting the car in the middle of the bay. 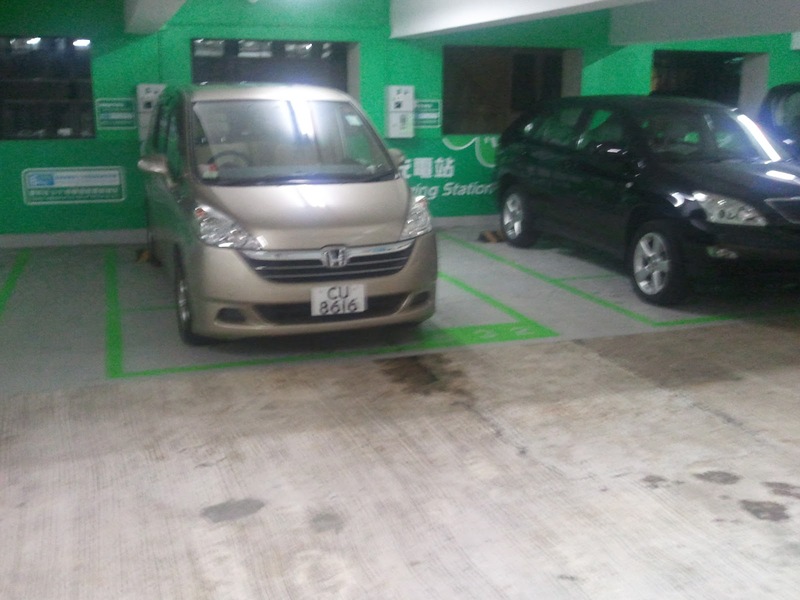 And there are precious few drivers in Hong Kong capable of pointing their cars forwards accurately, let along reversing. Combine this with the usual passive aggressive behaviour, and you end up with a cnut who parks right on the edge of his space effectively rendering the adjacent space unusable. So, what joy to chance upon the CC Wu Building in Wanchai (the one near Hopewell - I think there is another one closer to CWB) and find larger spaces in a nicely maintained facility, with additional spaces between the spaces for door-opening and alighting (and delighting?). And the staff are friendly, too. Obviously the featured car, being a Japanese model, is not your correspondent's. And it can't be Ulie's either: there are two letters missing from the number plate. Thanks so much for the car park posting! It will be truly amazing to see this one in person. Sorry, Ulie - I forgot the "Y".